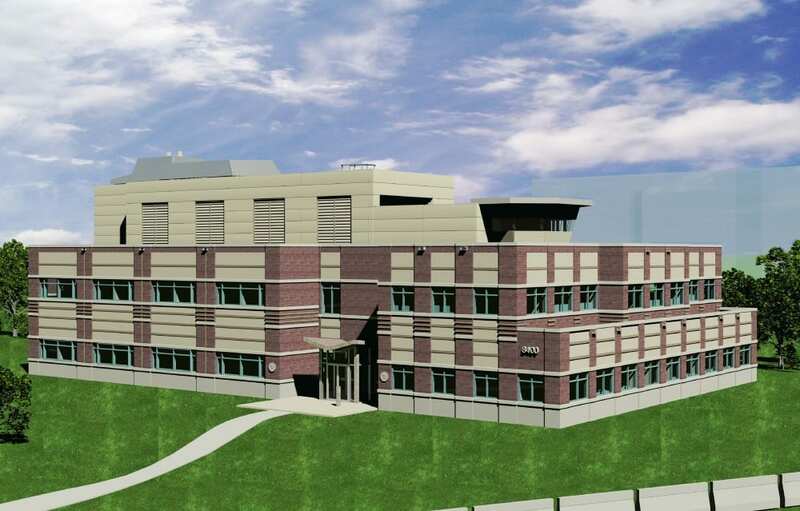 Sensitive lab equipment made vibration mitigation critical to the design of this new research facility. What’s more, architects from ALPHATEC p.c. had to account for noise from penthouse mechanical equipment, a loading dock and footfalls on the second floor. They needed vibration-level criteria and mitigation designs drawn from comprehensive data on the way vibration would travel through the concrete building. Our engineers worked with the Papadimos Group of San Rafael, California, to develop a finite element analysis model from the building plans to paint a detailed picture of the vibration anticipated in labs and other spaces. Close collaboration with architects and structural engineers resulted in two structural designs that met the project’s vibration criteria. The plans and prescribed materials isolated all lab areas from the impact of footsteps and mechanical systems. Despite potentially noisy mechanical equipment in the rooftop penthouse, the room directly below also kept vibration within strict limits.